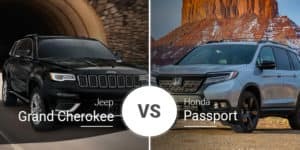 Chrysler Pacifica Vs. Toyota Sienna: Old or New What Can’t These Vans Do? Minivans were once one of the hottest segments in the automotive world. 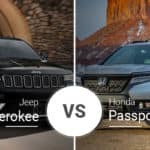 Recently, crossovers have taken over this throne atop the car world, but there are still great minivans on the market. 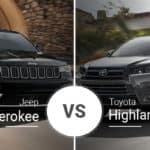 Two great options include the 2019 Chrysler Pacifica and 2019 Nissan Sienna, but which one is better for our Jacksonville, Florida buyers? Continue reading to find out. The Chrysler Pacifica debuted just two model years ago, so it boasts one of the newest looks in the segment. 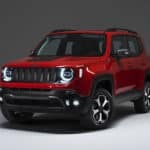 Experts also frequently call it the best-looking minivan on the market, making it a great buy for shoppers who want a van that at least shows off a little style. The 2019 Toyota Sienna is significantly older, as its last redesign came in 2011. That said, the Sienna is still a slick-looking minivan, especially in the sportier SE trim. The 2019 Chrysler Pacifica is 203.8 inches long, 79.6 inches wide, and 69.9 inches tall. The Pacifica rides on a 121.6-inch wheelbase. The 2019 Sienna’s footprint is smaller at 200.6 inches long and 78.1 inches wide, but it is taller at 70.7 inches tall. The Sienna rides on a 119.3-inch wheelbase. Inside, the 2019 Nissan Sienna shows its age. No, it is not ugly, but its lack of creative shapes and materials make it look just as dated as it actually is. That said, experts often tout the Sienna as one of the more comfortable minivans, and its cargo area is massive. Despite its dated appearance, the Sienna has a full allotment of standard active safety tech to keep everyone safe inside, including automatic emergency braking with pedestrian detection, lane-departure warning, lane-keep assist, automatic high-beam headlights, adaptive cruise control, and hill-start assist. The 2019 Chrysler Pacifica’s cabin boast all the styling buyers would expect from the latest minivan on the market. 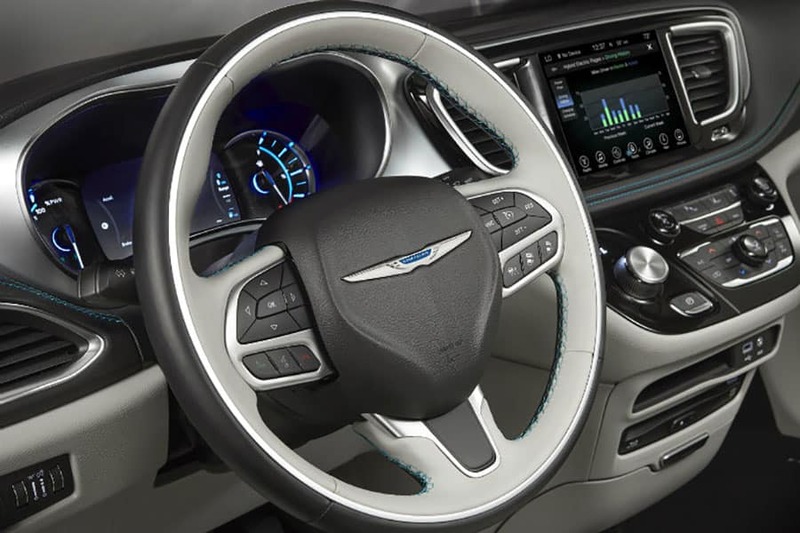 This styling is enhanced by its two-tone steering wheel, slick touchscreen, and metallic finishes. The Pacifica also has useful options like the in-car vacuum and assisted parking. In its front seats, the 2019 Chrysler Pacifica has 40.1 inches of headroom, 41.1 inches of legroom, 63.8 inches of shoulder room, and 59 inches of hip room. The Sienna has an extra 0.9 inches of headroom and 1.2 inches of hip room, but it comes up short by 0.6 inches in legroom and 0.4 inches in hip room. In its second row, the 2019 Pacifica offers 39.6 inches of headroom, 39 inches of legroom, 63 inches of shoulder room, and 64.8 inches of hip room. 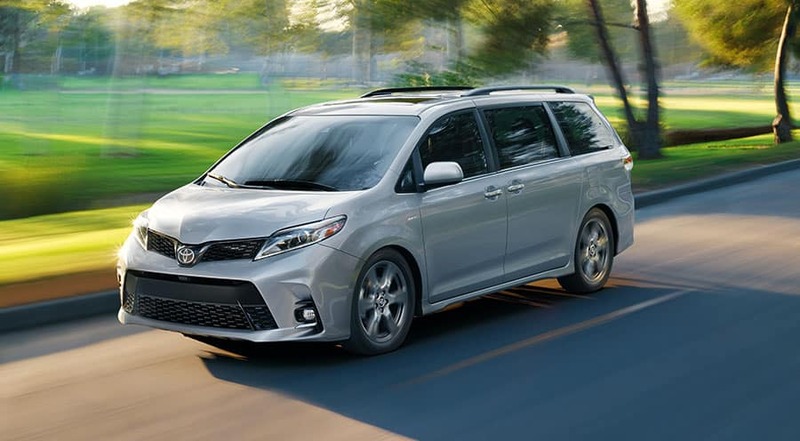 The 2019 Toyota Sienna checks in with 39.7 inches of headroom, 37.6 inches of legroom, 64.6 inches of shoulder room, and 66.1 inches of hip room. In its third row, the Pacifica is roomy with 38.7 inches of headroom, 36.5 inches of legroom, 61.2 inches of shoulder room, and 49.5 inches of hip room. 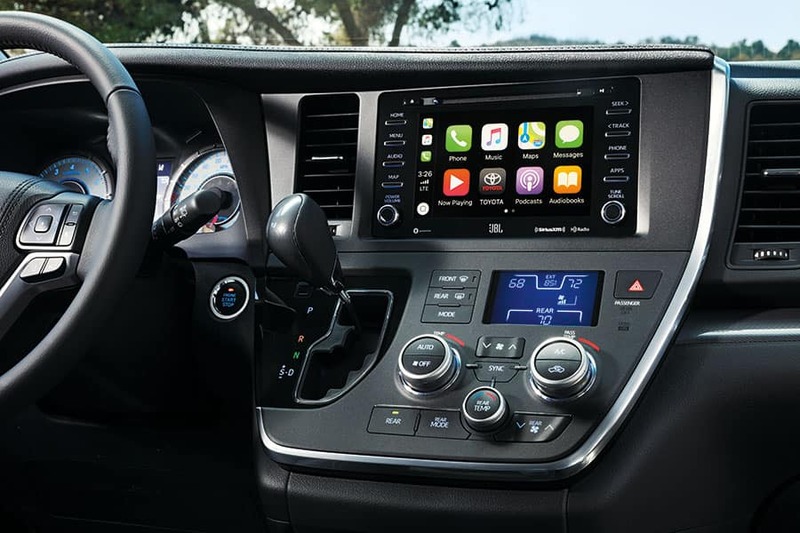 The 2019 Sienna also boasts a roomy third row with 38.3 inches of headroom, 36.3 inches of legroom, 61.1 inches of shoulder room, and 50.3 inches of hip room. Passenger room isn’t all minivans are known for. They also need to haul cargo with the best of them. The Pacifica is happy to oblige with 32.3 cubic feet behind third row, 87.5 cubic feet behind second row, and 140.5 cubic feet of max cargo room. The Sienna is also quite capable with 39.1 cubic feet behind third row, 87.1 cubic feet behind second row, and 150 cubic feet of max cargo room. The 2019 Chrysler Pacifica features a 3.6-liter V-6 engine with 287 horsepower and 262 pound-feet of torque. 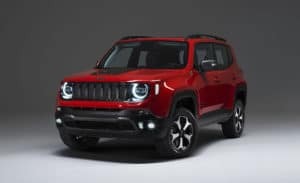 This engine pairs with a nine-speed automatic transmission that delivers power to the front wheels. Eight-speed automatic transmission that delivers power to the front wheels as standard. Setting the Sienna apart from others in its segment, including the Pacifica, is its optional all-wheel drive. While towing is not a big deal in minivans, the Pacifica and Sienna are plenty capable in this area with 3,600- and 3,500-pound towing capacities, respectively. Fuel economy takes a back seat — or maybe even the third row — in the minivan segment, and the Pacifica and Sienna are no exceptions. The Pacifica gets up to 19 mpg city, 28 highway, and 22 combined. 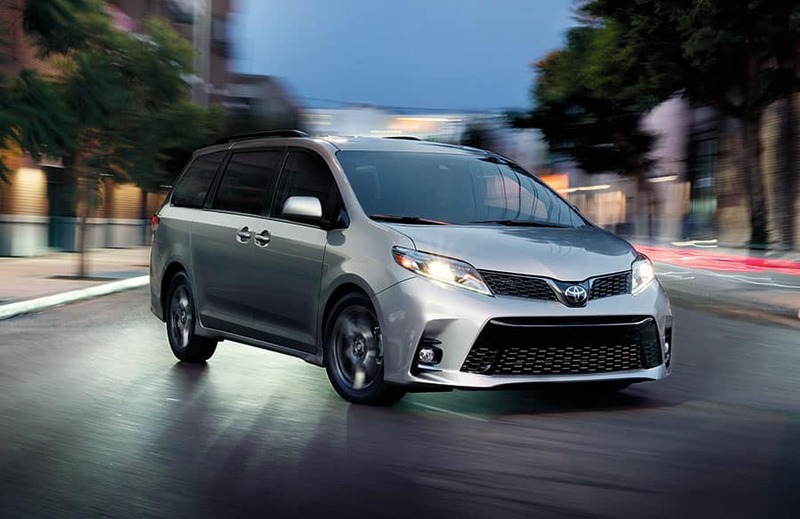 The Sienna with front-wheel drive gets up to 19 mpg city, 27 highway, and 22 combined. Adding all-wheel drive drops the Sienna’s thriftiness to 18 mpg city, 24 highway, and 20 combined. 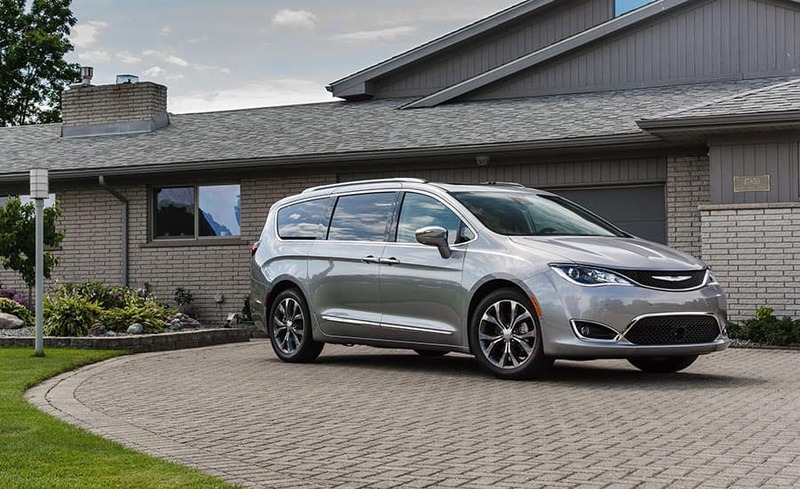 The 2019 Chrysler Pacifica comes in six trim levels — L, LX, Touring Plus, Touring L, Touring L Plus, and Limited — and their starting prices range from $26,995 to $44,445. 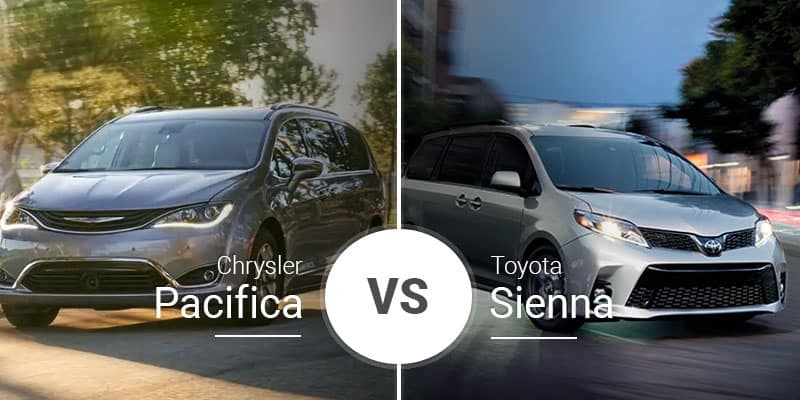 There are eight trim levels that make up the 2019 Toyota Sienna lineup: L, LE, SE, SE Premium, XLE, XLE Premium, Limited, and Limited Premium. These trims’ starting prices range from $31,115 to $47,530. The 2019 Chrysler Pacifica is the best-looking minivan on the market, and it starts about $4,000 cheaper than the Sienna. This makes it great for buyers willing to sacrifice some features to save on price. But it also hit the other end of the spectrum with its fully loaded upper trims. The Toyota Sienna is the perfect van for the safety-conscious buyer with its full set of standard active safety tech. The Sienna may look dated, but these standard safety bits tell a different story. 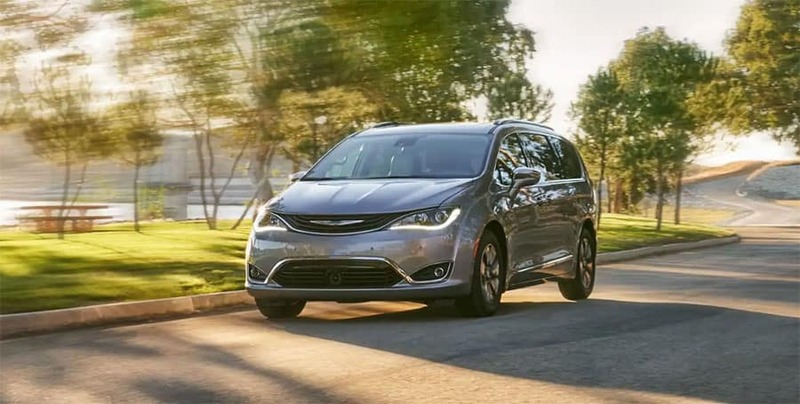 Whether you’re running the kids to school in Fleming Island or hauling the family to Orange Park for a day trim, the 2019 Chrysler Pacifica can handle it all. 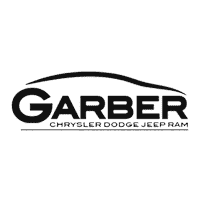 Head down to Garber Chrysler Dodge Jeep RAM serving the Jacksonville and Green Cove Springs areas to take the Pacifica for a test drive for yourself. Can’t make it in today? 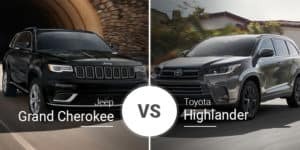 Surf over to our online inventory page to see what 2019 Pacifica models we have in stock and choose one that suits you.